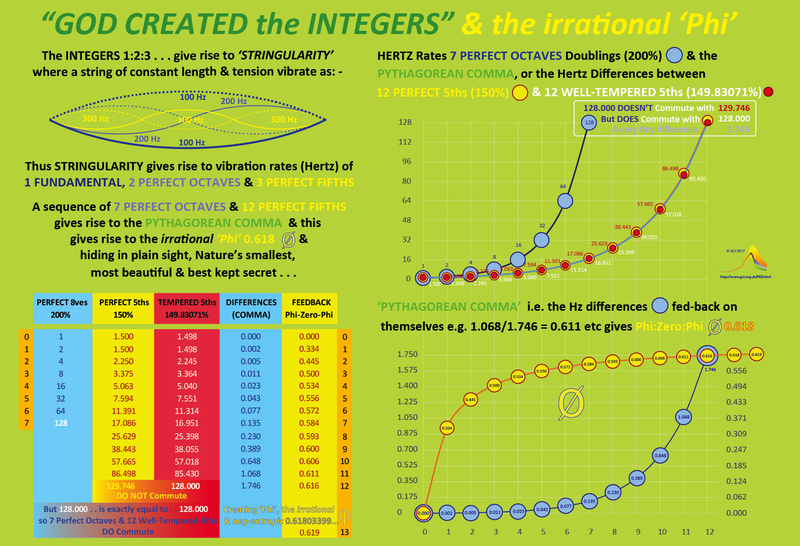 As a little film-clip, here are the first 5 Prime numbers as 'rates' (Hertz) & 'ratios'. As harmonics these numbers (1, 2, 3, 5, 7) create a Dominant 7th Chord. 12 well tempered '5ths' commute perfectly with 7 perfect 'octaves' (perfect doublings) giving 'Phi'. Measuring space-time This is about 'consciousness' as 'feedback' within 'limits' . . .
Any image below can be 'clicked' to enlarge it. Stephen Hawking's interpretation of Pythagoras String Law (halve the length double the frequency (Hz) & vice versa) states string-length is inversely proportional to frequency. Light-speed is a universal speed-limit where each frequency is one Planck-length, so is there a limit to space-time; very small/large speed/lengths are involved, but are there not limits? For every action there is reaction. So the law of cause & effect means ultimately all waves are 'bounded waves' within self-realized limits. 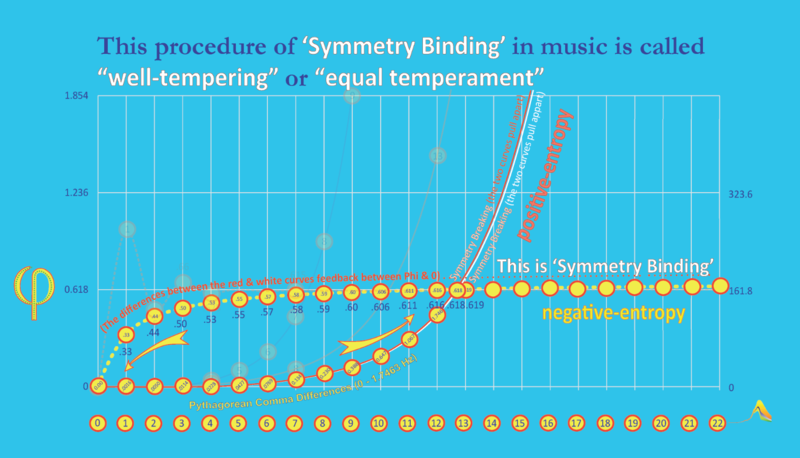 It follows that feedback-symmetry and the derivation of this structure means a harmonic-order precedes any chaos that humanity may observe/experience/struggle-with, in the parts within which understanding is sought. 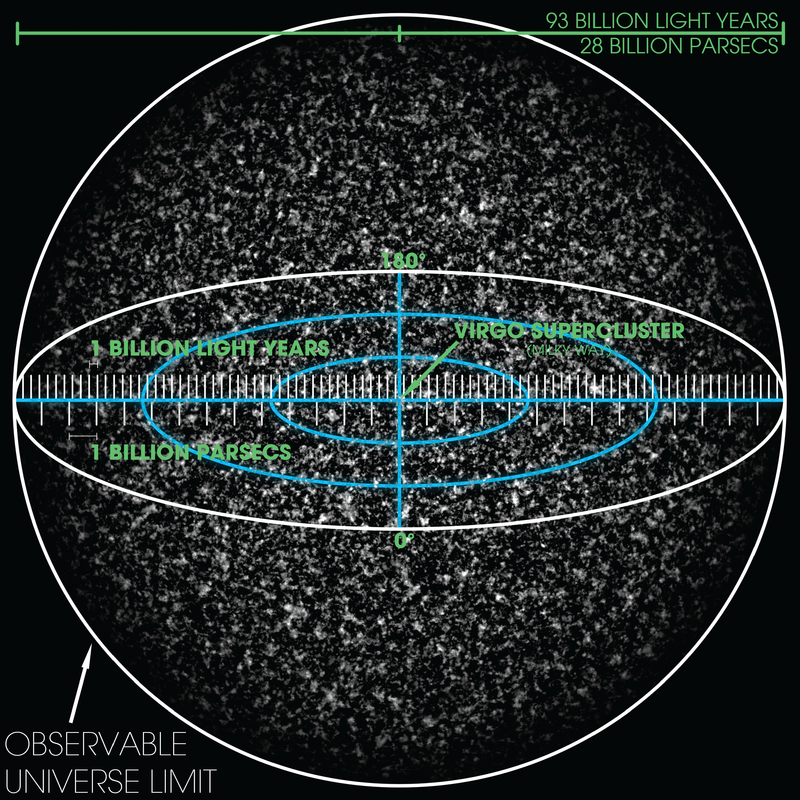 How big is the (observable) universe? Odd & irregular, as Hz values, the Prime Numbers divided into '1' are contained within harmonic-order where their 'uneven' distribution shows clustering at 12ths of the overall length. The strange-attractor of '12' is even & regular. The first 10 Prime Numbers 1, 2, 3, 5, 7, 11, 13, 17 19, 23, show this regularity, so I wonder how far this goes . . . . ? Here are all the harmonics (1 to 61) comparing PRIMES as fractions of '1' (odd & irregular numbers in RED) with 4, 8, 12 etc (even & regular numbers in BLUE). All are shown as rates (Hertz) and ratios. The plan is to continue the series to '84'. 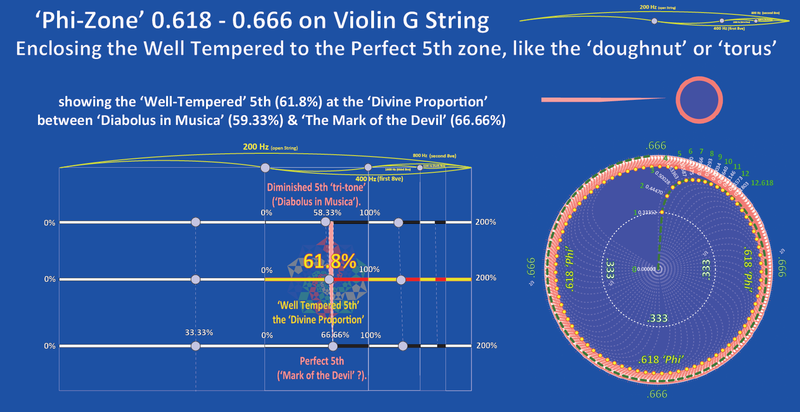 This where 'Well-Tempering the 'Perfect 5th' cycle in '12' steps, is made to commute '7' with 'Perfect Octaves' (7*12 = 84). This is to demonstrate derivation of 'Phi'). Here is another way of projecting 'no growth' and partially isolating where PRIMES cannot fall if not fully predicting where they will fall. It is very clear that the organising power of 3*4 (12) is fundamental. 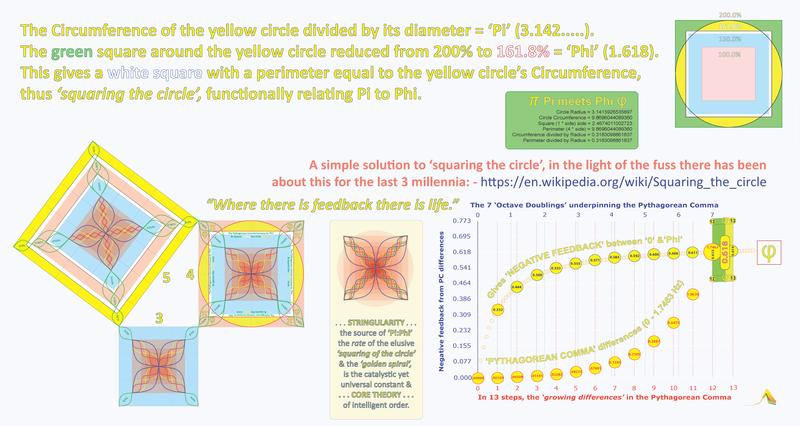 3*4* 5 gives us base 60 or the 'sexagisimal numeral system' that arose in Mesopotamia around 3100 BC NB the integer Pythagorean Triangle & also squaring the circle are embedded here. This is preparation for further interogating the 'Riemman Hypothesis'. It is already evident here that when PRIMES are rendered as fractions (not multiples) of '1', after the 10th PRIME ('23') they are quickly compressed as ratios to being less than 1/24 of '1'. Using this animation methodology, this is the first step of preparation for eventual audio-visual communication of the 'Harmony of the Primes'. As the film-clip above shows, the first 5 Prime numbers as 'rates' (Hertz) & 'ratios'. Together these create a 'Dominant 7th Chord. We can use this technology to touch-animate that chord (or any other) . . . .
Chrome browser no longer supports Adobe FLASH files. This file opens quite safely in the Firefox browser. [b] the universal fastest rate (The Speed of Light') . 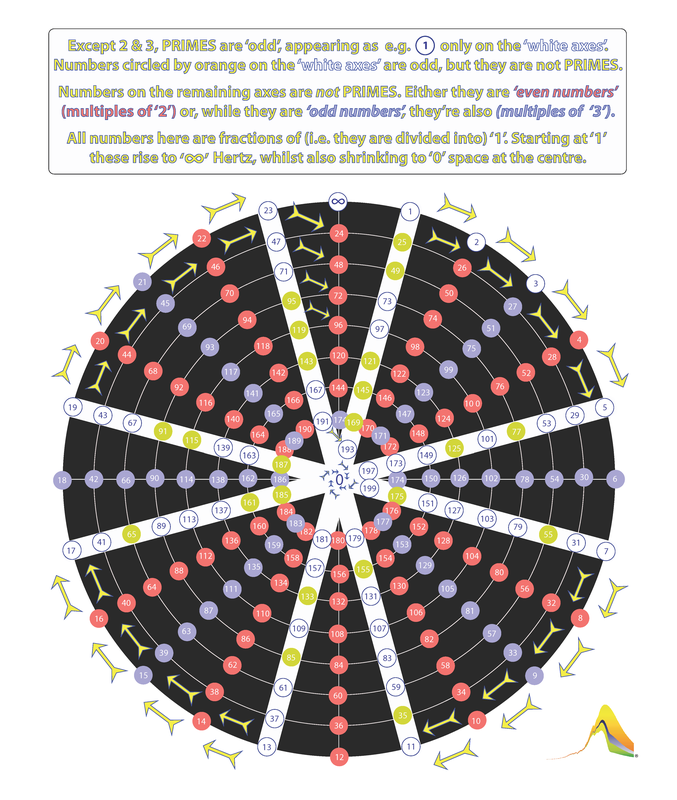 . . . .
the overall number of Prime Numbers is contained within those limits? Here is (e.g. a violin) string length subdivided in to ratios 1/1, 1/2 1/3 1/5 1/7 1/11 1/13 1/17 1/19 1/23. Herz rates 100 Hz, 200 Hz, 300 Hz, 500 Hz 700 Hz 1100 Hz 1300 Hz 1700 Hz 1900 Hz 2300 Hz. The Herz pair below show decoherence between 73 Hertz & 72 Hertz. The underlying stringularity is visible 'in the blur'. The % value of this is the 'Pythagorean Comma' e.g. 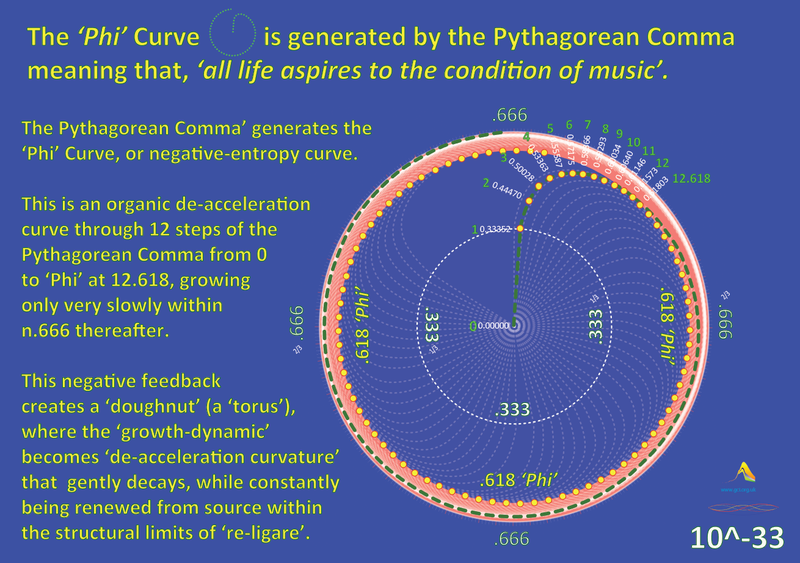 128/129.746 of 98.63% or 'Phi', which is a direct consequence of stringularity & the Pythagorean Comma. Schrodinger’s question ‘What is Life?’ has yet to be answered. Transcendental Pi & the beautiful ‘irrational’ Phi are the same from the word go, & ≈ as non/identical twins. Here, the time derivation of Phi in 12 Herz steps, clearly emerges as a neg-entropic curve within this framework. 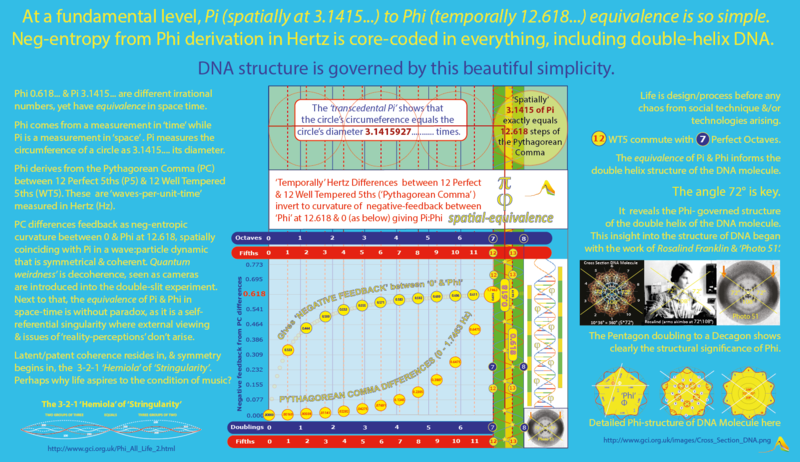 Phi is ubiquitously encoded in everything in the universe, including what will in the present era become DNA (the double helix). Nothing that we have been, are now, know & do would exist were not all of this functionally true. Life is design & technique before it is any potential dead-handed artificial-intelligence/technology. As Laurie Barlow of Greensward Civitas points out, "to further complicate things, Bohm has clearly laid out how consciousness triggers explicate events out of implicate possibilities, which are infinite and follow the "folding" of Phi. We choose its direction when we observe, and it unfolds according to its nature. Millions of unfolding potentials every second reveal how powerful our intents and purposes can be if we harness them in favor of life." As Bohm explicates, we're implicated with 'intentions & purposes' (and so it's complicated) . . . . actually that's quite an awesome idea, yet at core it's all so beautifully simple . . . .
Aas Jelle was fond of quoting, ”It is my opinion that everything must be based on a simple idea and it is my opinion that this idea, once we have finally discovered it, will be so compelling, so beautiful, that we will say to one another, yes, how could it have been any different.” John Archibald Wheeler. Choice is whether we are on the outside going in, or on the inside going out. Who knows? Perhaps it's like turning the universe inside out out . . . Ultimately its the same loop.